Now that the sun is shining, basil seedlings are ready for planting and tomatoes are starting to taste like they should, cravings start for fresh, milky buffalo mozzarella to pair with them – torn into little pieces and dressed simply with sea salt, freshly ground black pepper and extra virgin olive oil. 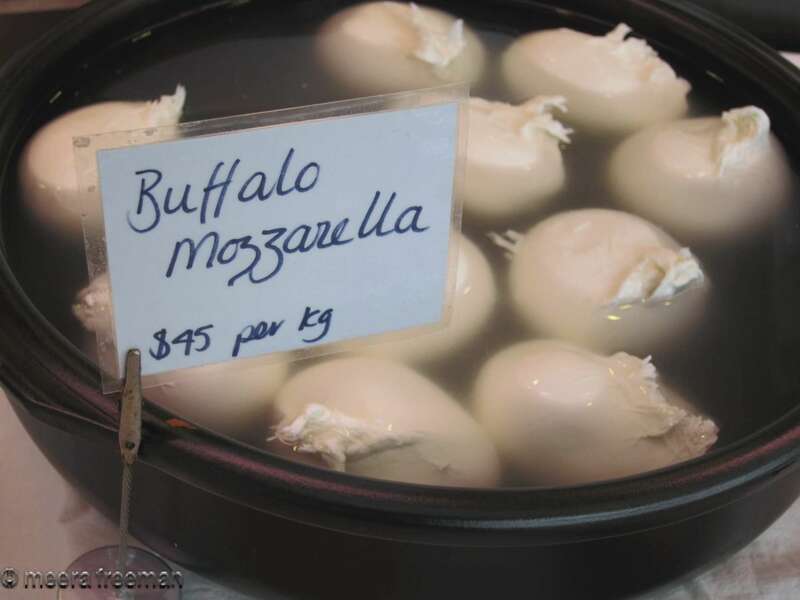 The only acceptable buffalo mozzarella was imported from the Campania region of Italy – horrifically expensive and available according to the whims of Australian Customs and Quarantine…. until recently, with the opening of La Latteria Mozzarella Laboratory, Milk and Yoghurt, a joint venture between chef Kirsty Laird and Giorgio Linguanti of That’s Amore Cheese. How lucky we Carlton residents are to have access to the freshest of fresh cheeses, farm milk, cream and yoghurt. La Latteria supplies some of the best Italian restaurants in Melbourne with their delicious buffalo milk mozzarella which is paired with thinly sliced sweet prosciutto or served as a component in the traditional Insalata Caprese with tomatoes and basil. I love the tanginess of their buffalo milk ricotta! Perfect as a breakfast cheese with fresh bread and honey or incorporated into salads. Also irresistible is La Latteria’s burrata – balls of cows’ milk mozzarella stretched and knotted around a filling of fresh cream. Drop in to La Latteria for a visit and see what is available on the day! You may even be lucky enough to get a little tasting…..Buon appetito!